I am not much of a fan of Messr. 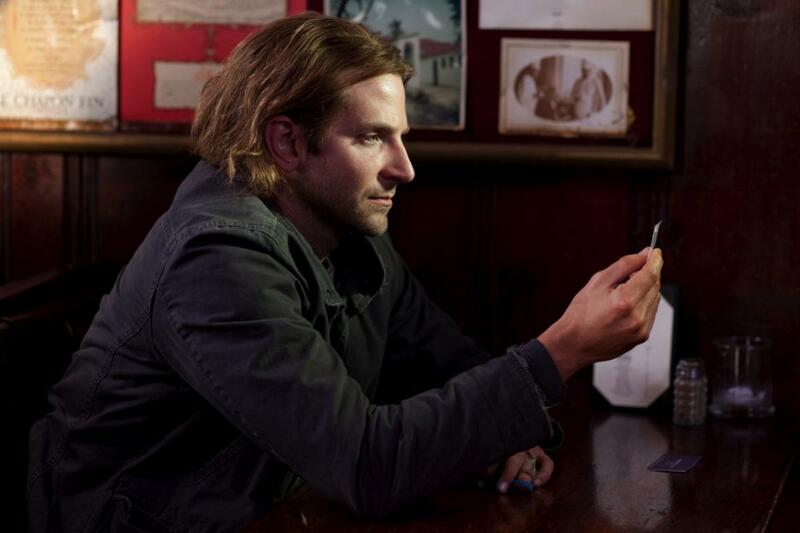 Bradley Cooper, he is capable of playing one of two things... A conceited fratboyesque male or a jerk. Since those are roughly the same thing, range is something Bradley Cooper does not have in spades. With that being said, expectations for Limitless were (to put it mildly) low. Limitless is a tale of a hack writer (not me), Eddie Morra, played by Cooper who is introduced to an experimental drug (NZT-48) that will raise brain levels from the proverbial twenty percent to one hundred. Not only does he get addicted, he is finally able to tap his nigh limitless (I had to reference the title) potential, accomplishing many things like bed his landlord's wife, finishing his novel or turning into a financial wizard (making two million dollars in ten days). 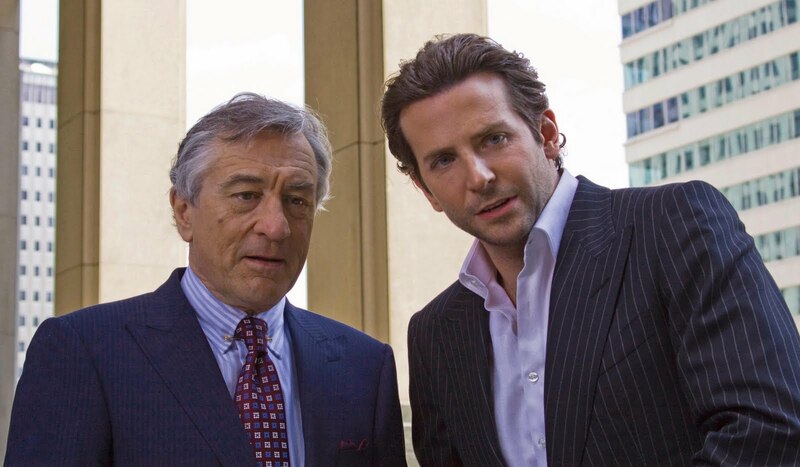 The last of which brings him to the attention of New York financial magnate, Carl Van Loon (Robert De Niro), who wants him to broker a merger with another NZT-48 addict. Of course, hilarity ensues. 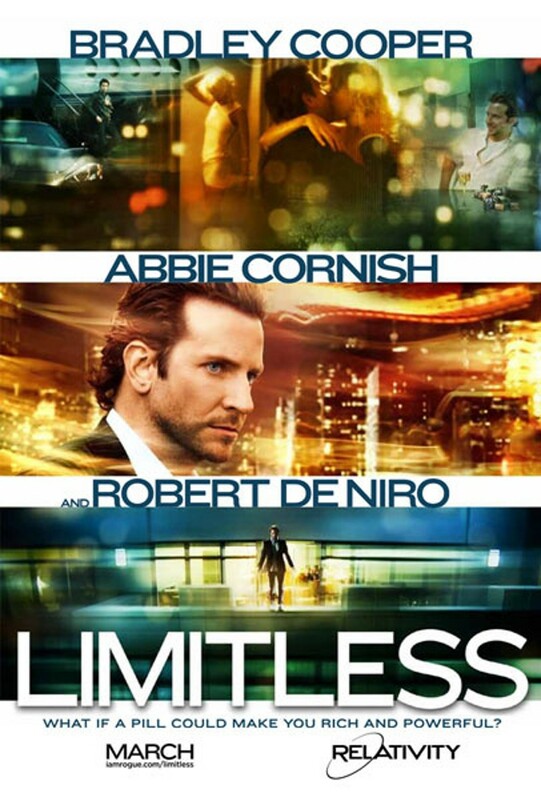 Surprisingly enough, Limitless is not that bad of a film if taken in a superficial sense much like Source Code (only not to the level of quality as that film), yet it has it's issues. The first is the uneven script that takes time to set things up only to do nothing with them (The landlord's wife, the novel etc...). How about the aftereffects of NZT-48 withdrawal leaves the user with none of the knowledge acquired while on it. Oh they also get weak and die. Sign me up. Evidently, the only reason for operating at 100% brain levels is to make money. I could think of better things to do with my time. I guess it also turns the habitual user into a soothsayer. Ludicrous. Honestly, the subplots were no better... Everything starts and is solved by circumstance. The best scene in the movie is Abbie Cornish on NZT formulates three escape scenarios (one with shears, another with a bat and lastly, a girls ice skate). In her heightened state of intelligence, she chooses the skate attached to a girl. Genius! Anyway, the movie suffers in the acting department, Cooper looked and acted as smug as ever, it was De Niro who acted like he was waiting for his check to clear.